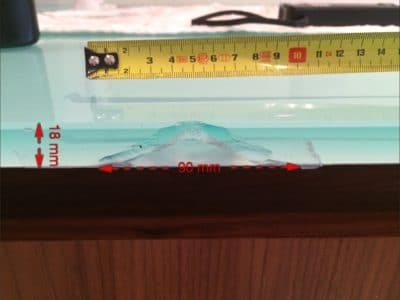 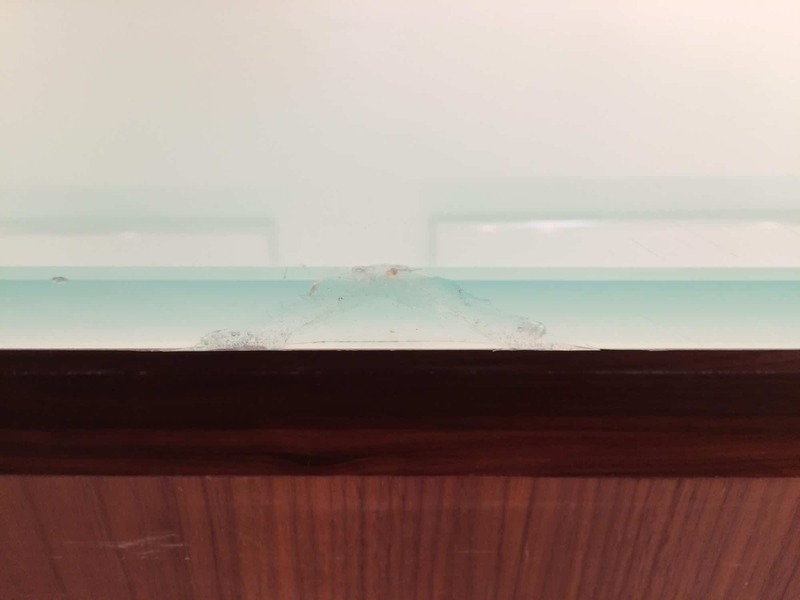 Large edge section broken off glass table top in a house in Chelsea. 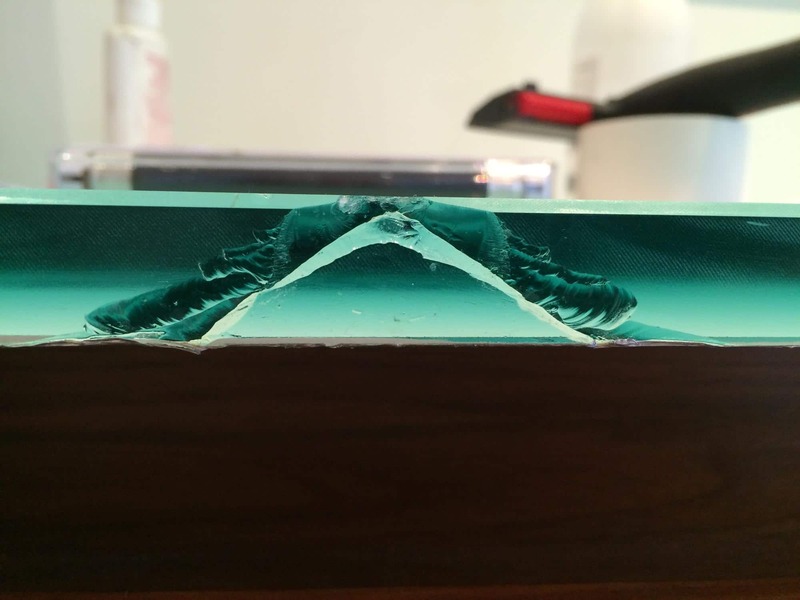 The piece had to be bonded back into the glass to make the repair look nicer. 90mm edge section of broken off glass. Profile view of the break. 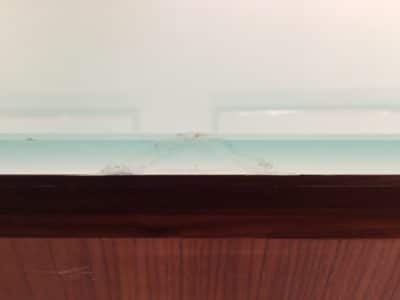 Using glass cement the broken piece is attached back to the work top and is safe to use now.